So far I/we have picked seven quarts, which involved going out to public lands twice. It was rough walking over stumps and branches, and I have a fear of falling and not being able to get up, but my determination to get those berries was strong. There is a scent in that type of pine forest, especially when the sun shines, that is delectable. I heard different bird calls than usual, and caught glimpses of forest flowers in all their pastel and delicate beauty. I brought my camera but didn’t have time to take any photos. I also found raspberries. Probably not a wild variety but an escaped domestic type, perhaps brought to this spot by birds. I would like to start the winter with 10 quarts so I will be going again, and gather up some of those raspberries, a few photos, and a few more hours in the peace and quiet of the woods. 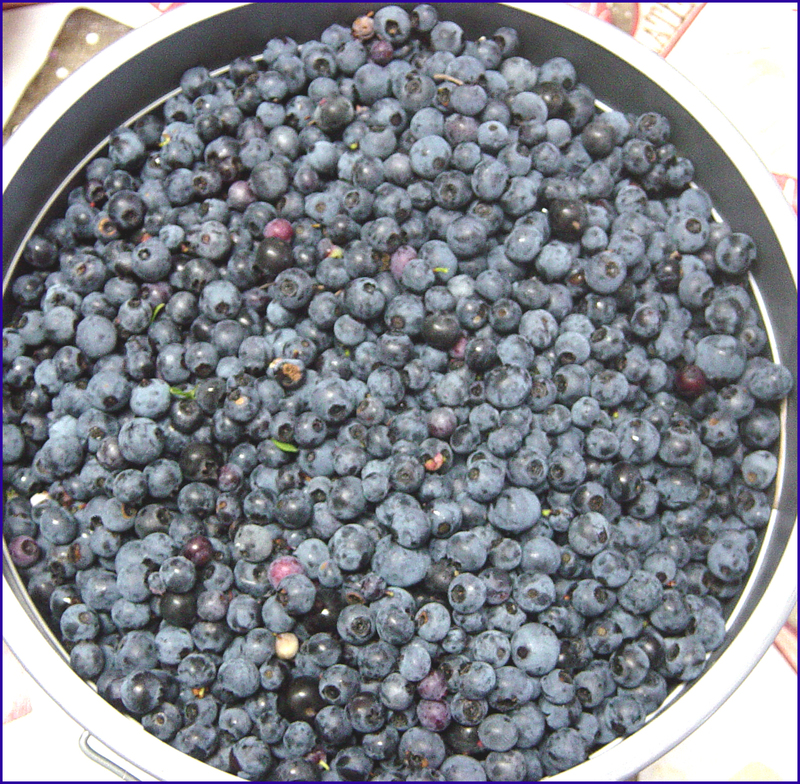 You are currently browsing the The Blueberry Tales weblog archives for July 2010.